Next on the list is to avoid printing when possible. Office memos, for example, can be delivered electronically, via email, to avoid printing costs. Likewise, in the case of billing, going paperless can be a matter of convenience for your customers, as well as a way for you to save, so it’s a win-win situation. Another way to save is to simply buy cheaper office supplies when, of course, it won’t affect the quality of your products and services. Repeat costs of all kinds can be reduced dramatically if you keep your eyes peeled for sales and other ways to save. 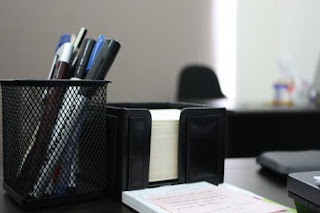 Keeping your eyes on various online office supply retailers, such as Office Depot and Office Max, will allow you to take advantage of said sales when they occur, which will save you a ton in the long run.